Stresses at sharp corners rise towards infinity as the mesh size is reduced. 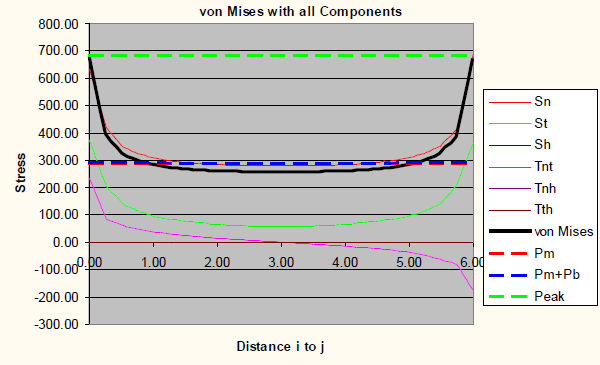 However the forces have to balance in a Finite Element model regardless of the mesh size used. 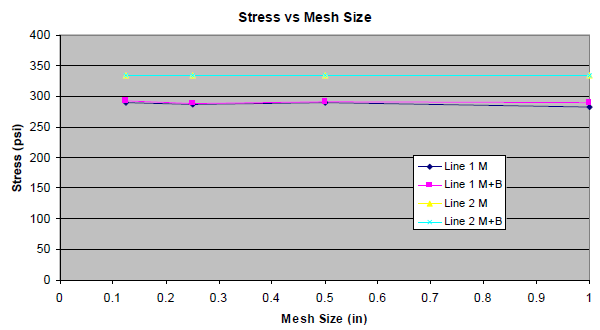 In these studies SCL (Stress Classification Line) results are compared with different mesh sizes. This report shows that it is possible to take stress classification lines through these areas of peak stress and get ultimate stresses – however the results will not be as expected. Two studies are shown. In Study 1, the SCL passes between 2 sharp corners. 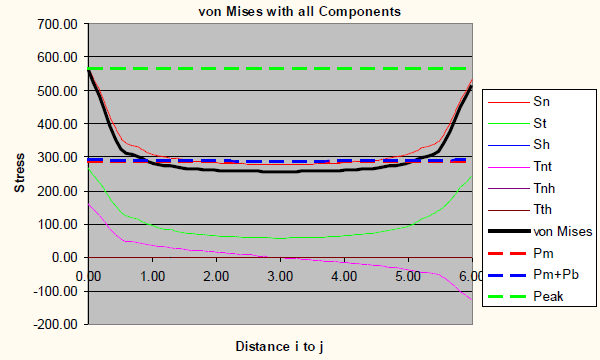 The stress classification method produces results that do not vary as the mesh is refined. However, it misses the magnitude of the membrane and reports no bending stress. This is a limitation of the stress classification method. In study 2, the SCL passes through only one sharp corner. 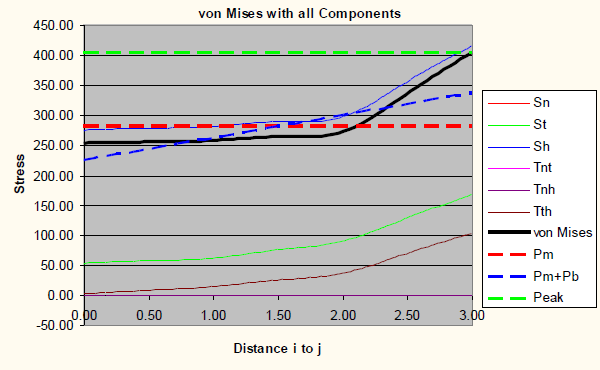 This study shows results that converge to a finite value. Again, the reported membrane stress is less than expected. Sharp corners exist in pressure vessels, and produce high stresses in those locations. We rely on the pressure vessel being built from ductile materials, reducing the corner stresses from infinity to the material yield point. Where possible, removing the sharp corners removes peak stresses. 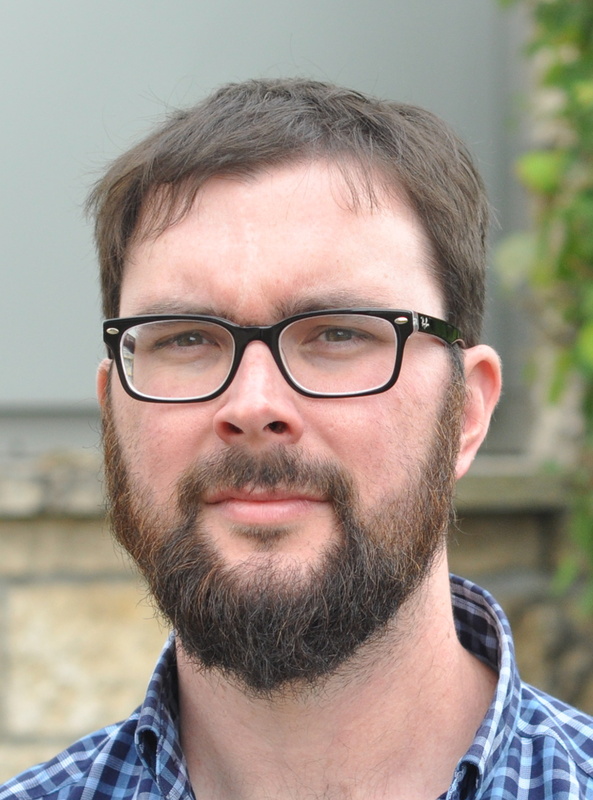 When this can not be done, the SCL is the tool used to report the stress in a manner consistent with code rules. 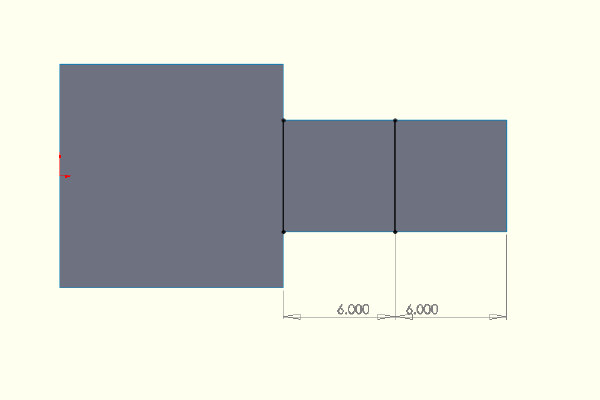 The test shape – a simple flat plate modeled at 1/4″ thickness. 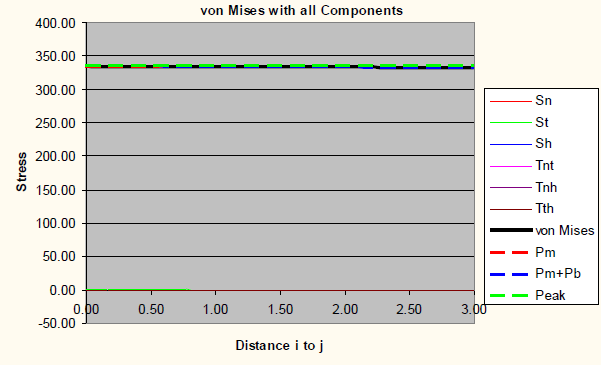 The split lines to provide nodes in fixed locations regardless of the mesh size used. 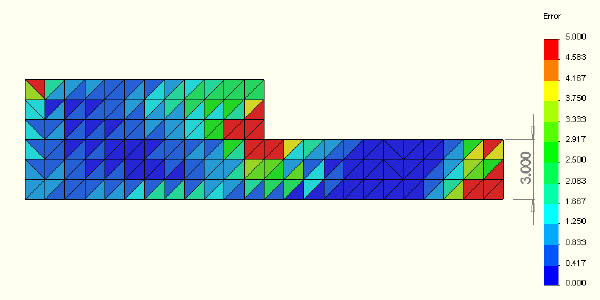 The first line passes through the corners with zero radius and a theoretical infinite stress. Applied loads – 500 psi at the left edge. The right edge is fixed. The shell model is meshed at 1/4″ thick. Line 1 and Line 2 are identified. They are referred to as Stress Line 1 and Stress Line 2 in the rest of the report. 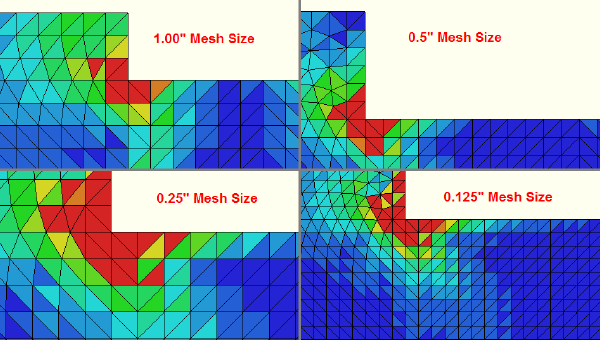 Stress results at 1″ mesh size. Stress Intensity (Tresca*2 or P1-P3). 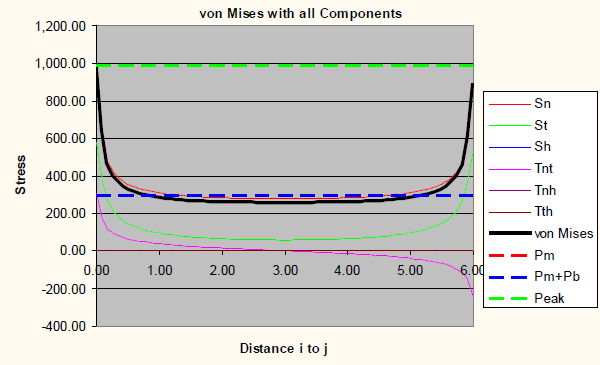 The error plot for the 1″ Mesh size – the error around the corners is greater than 5% and should not be used. However, the results will be included in line #1. 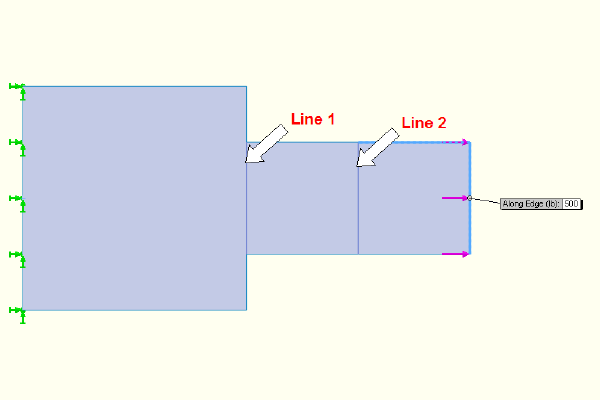 Line 2 only passes through elements with less than 5% error and should be acceptable. 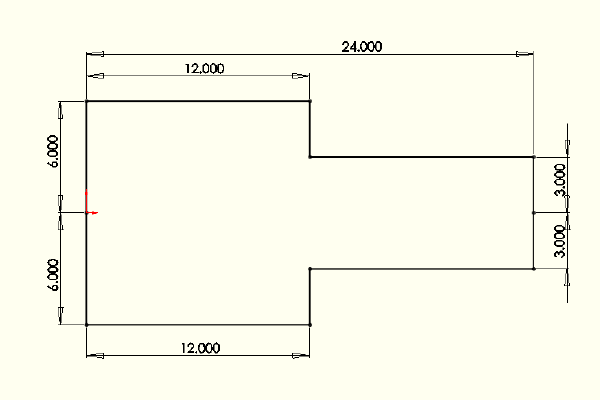 SCL through Stress Line 2 at 1″ mesh size. SCL through Stress Line 1 at 0.5″ mesh size. SCL through Stress Line 2 at 0.5″ mesh size. 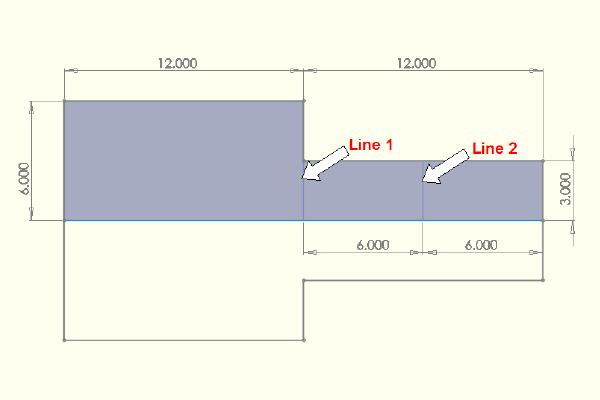 SCL through Stress Line 1 at 0.25″ mesh size. SCL through Stress Line 2 at 0.25″ mesh size. SCL through Stress Line 1 at 0.125″ mesh size. SCL through Stress Line 2 at 0.125″ mesh size. 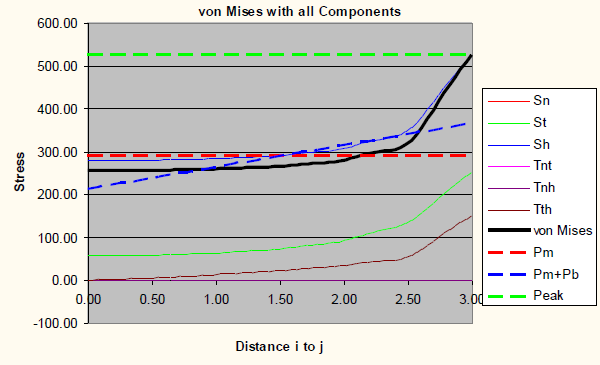 Error plots for the 4 mesh sizes studied. Same 0-5% scale. 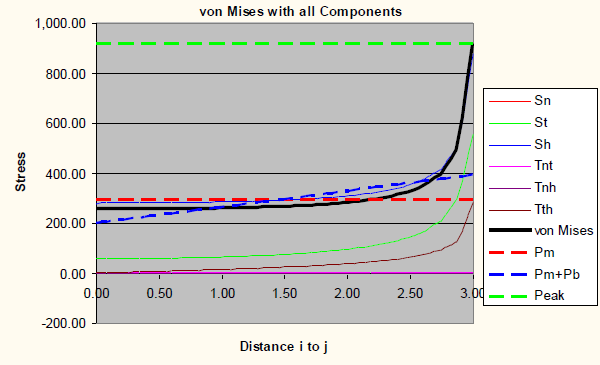 1) Although SCL 1 passes through 2 areas of theoretical infinite stress, and resulting high error, the SCL results are practically unchanged as the mesh is refined. 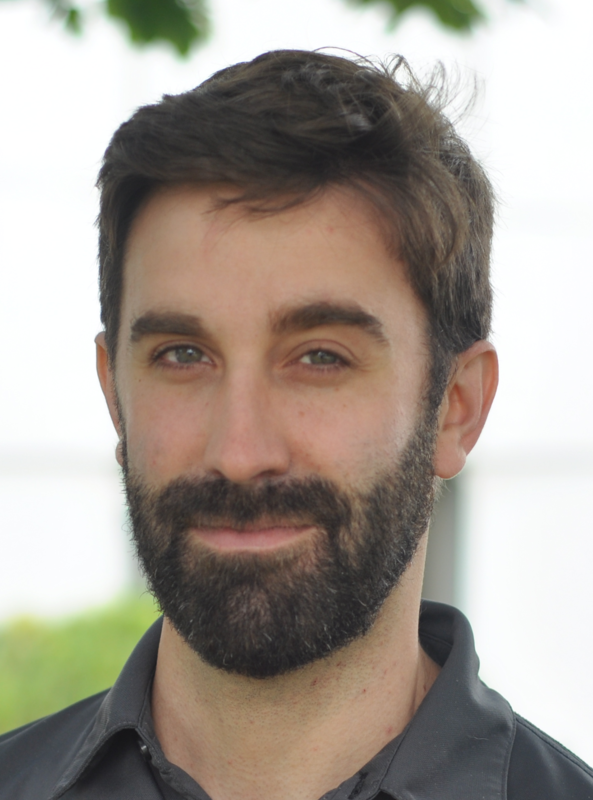 Although the stresses are rising at the ends of the SCL to points that are approaching infinity, these high stresses are affecting increasingly smaller element areas and are having smaller impacts. The end result is constant reported Membrane and Membrane + Bending results. 2) The reported membrane stress for SCL 1 is less than for SCL 2. The expected answer is that the membrane stress is the same for both lines – 333 psi. 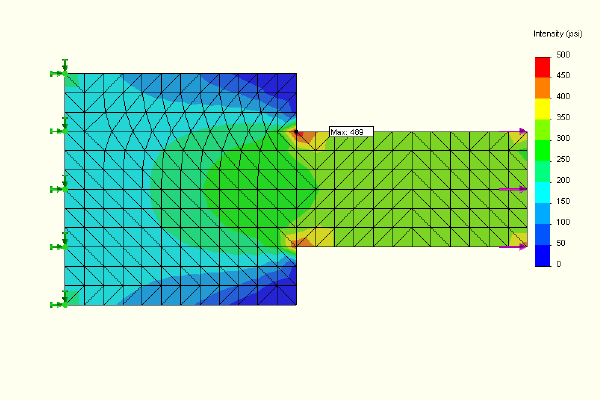 For SCL 1, shear stress Tnt provides a large component of the stress. This stress is positive at one end of the SCL and negative at the other. 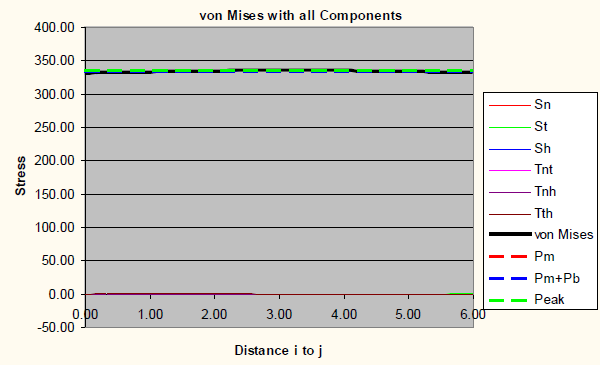 The membrane stress is calculated by averaging these stresses over the length of the line, so Tnt makes no contribution. The stresses at both ends of SCL 1 increase. They are not alternating (increasing on one end, decreasing on the other) as is found in a bending stress. 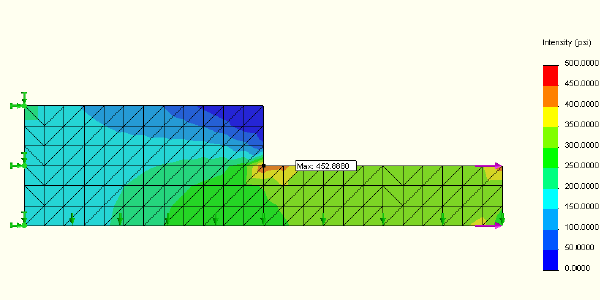 The SCL tool does not see these stresses as being a bending stress because they are not alternating. 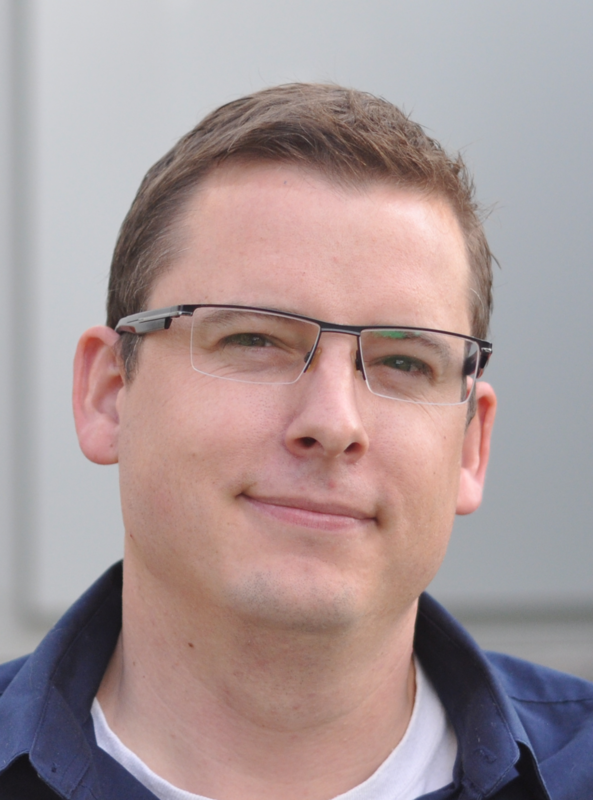 The results are not as expected for SCL 1 – this is a limitation of the stress classification method. 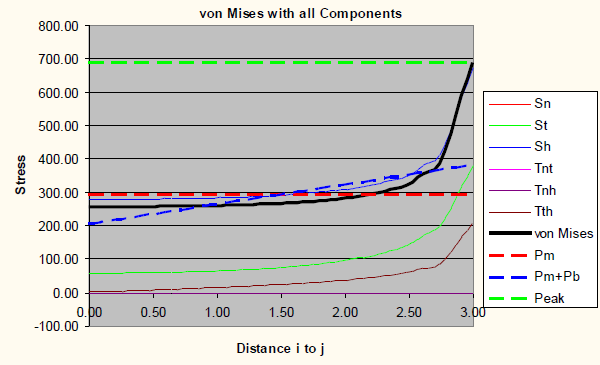 Stress classification lines should not be run between 2 sharp corners. The shape from study 1 is cut in half for this next study. SCL 1 runs from a sharp corner to a smooth surface. Identical stress classification locations are used. The test shape #2 – One half of the test shape used in study #1 – again modeled at 1/4″ thickness. 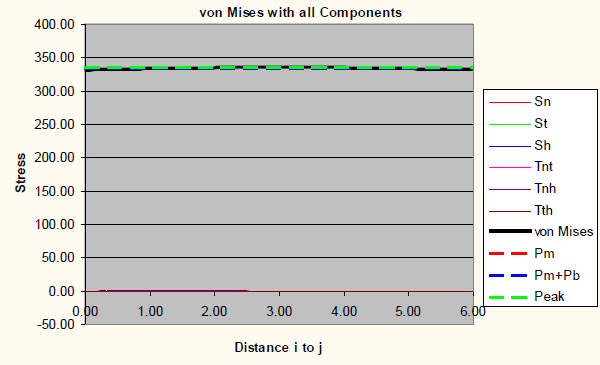 The split lines to provide nodes in fixed locations regardless of the mesh size used. The first line passes through one corner with zero radius (and a theoretical infinite stress). Line 1 and Line 2 are identified. They are referred to as Stress Line 1 and Stress Line 2 in the rest of the report. Applied loads – 250 psi at the left edge. The right edge is fixed. The shell model is meshed at 1/4″ thick. 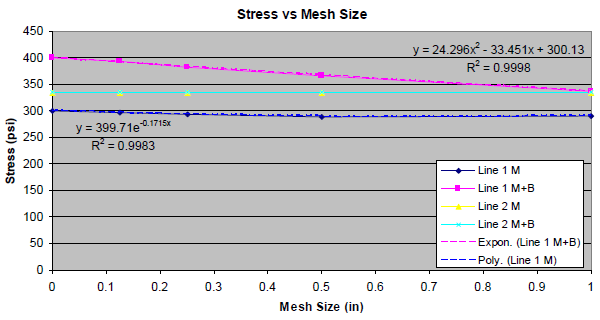 Stress results are shown at 1″ mesh size. Stress Intensity is shown (Tresca*2 or P1-P3). Theoretical stress is 250 lbs/(3″ x 0.25″) = 333.33 psi. 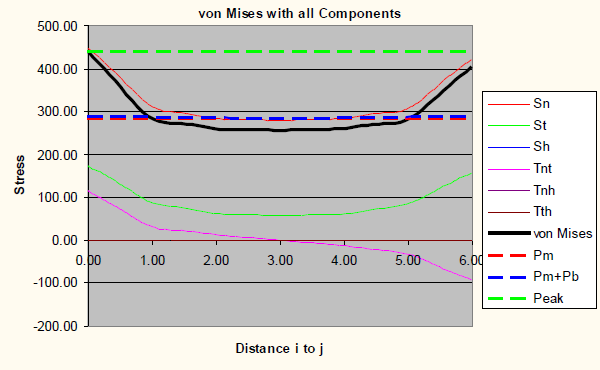 The remaining Stress Line 2 plots look identical and are not shown. 1) SCL 1 passes through an area of theoretical infinite stress reports increasing Membrane and Membrane + Bending results as the mesh is refined. 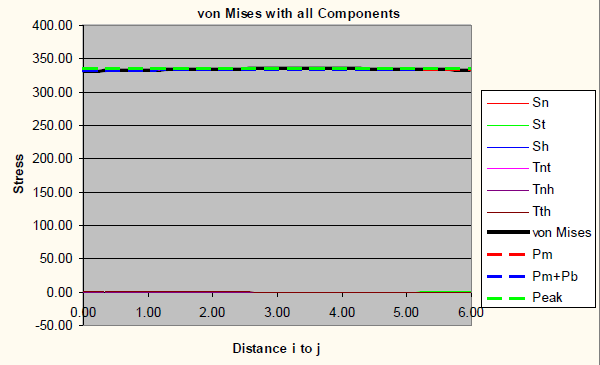 However, these reported results converge to fixed, not infinite values. 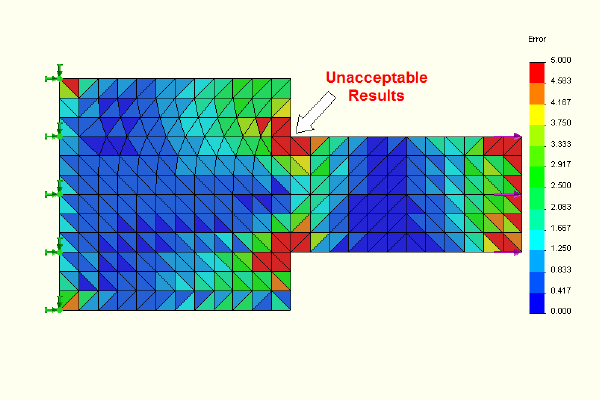 Ultimate stresses at zero mesh size can be extrapolated for the Membrane and the Membrane + Bending stresses. The ultimate membrane stress is less than the 333 psi expected because some of the stress is interpreted as bending. 2) Avoiding the areas of high error on one end of an SCL is desired if possible.